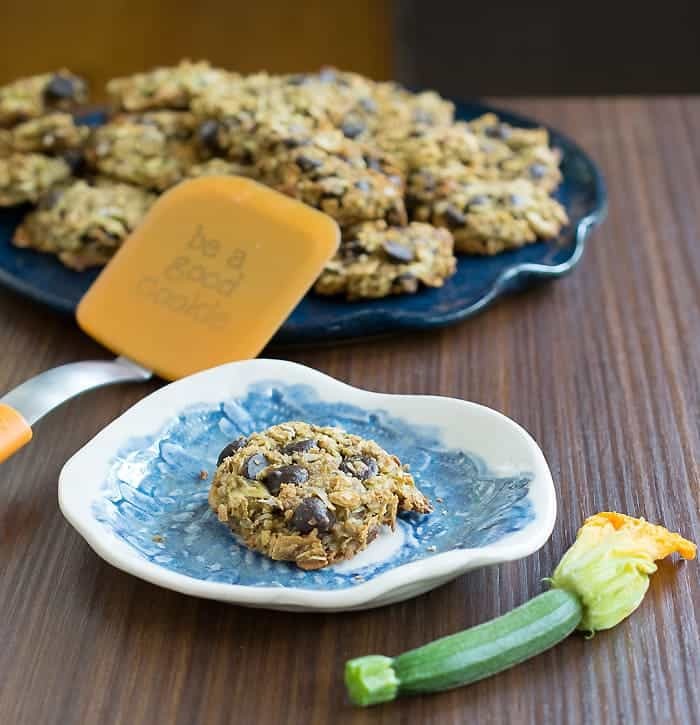 Is your garden overflowing with zucchini and squash? 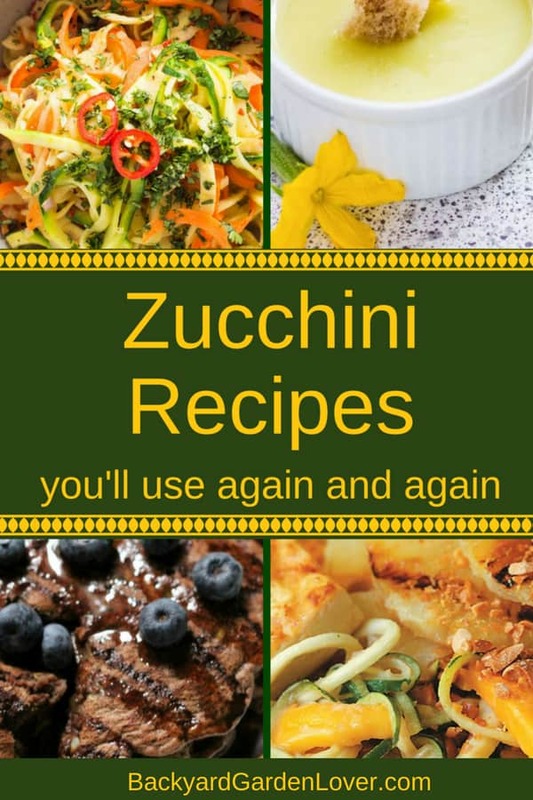 Mine is, but that only makes me happy, because I have all these delicious zucchini recipes I want to try. I’ve already experimented with some recipes over the years, and a few emerged as favorites, but I’m always up for discovering more ways to enjoy this hard worker from my garden. We have 2 definite winners in our home: fried zucchini with garlic mayonnaise, and zucchini cake (a recipe I found while flipping a Vegetarian Times magazine about 10 years ago). YUM! And of course, I learned how to freeze zucchini several ways and enjoy it throughout the year. 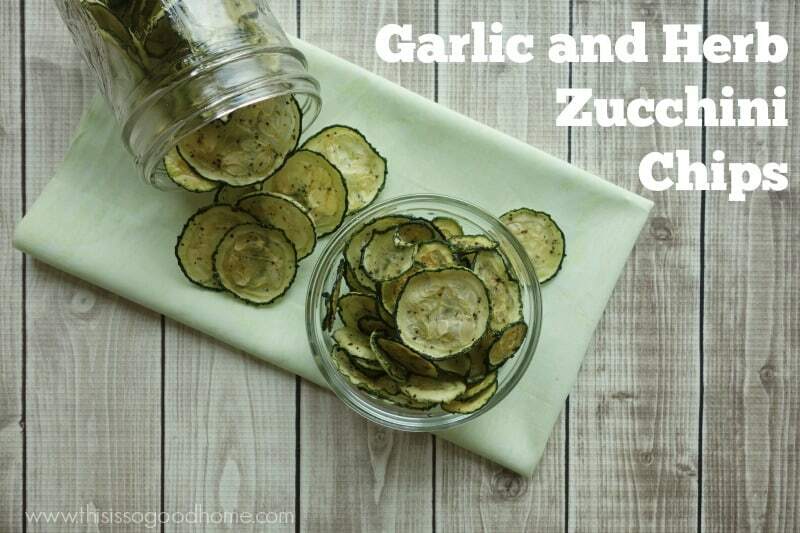 Today I’m bringing you lots of delicious recipes you can make with the abundance of zucchini from your garden (or the neighbor’s garden ;): from breakfast to lunch and dinner, and even dessert and snacks: it’s all included! 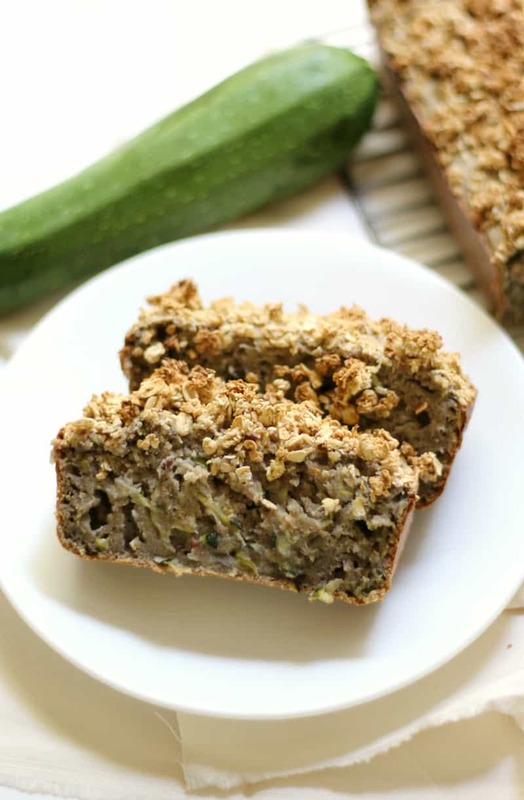 Delicious healthy zucchini bread for any day. Great for breakfast, or a quick evening snack with milk. You might also like: Easy apple recipes your entire family will love. 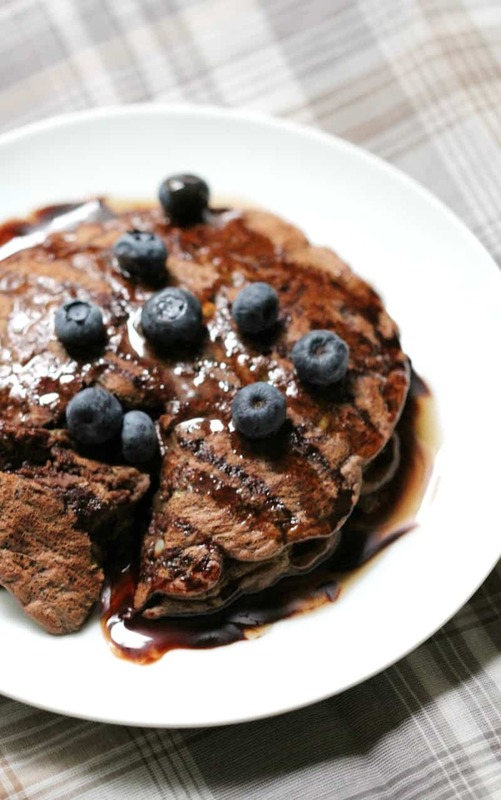 These sinful looking blueberry zucchini pancakes are as delicious as they look. Delight your family with a new breakfast this weekend! 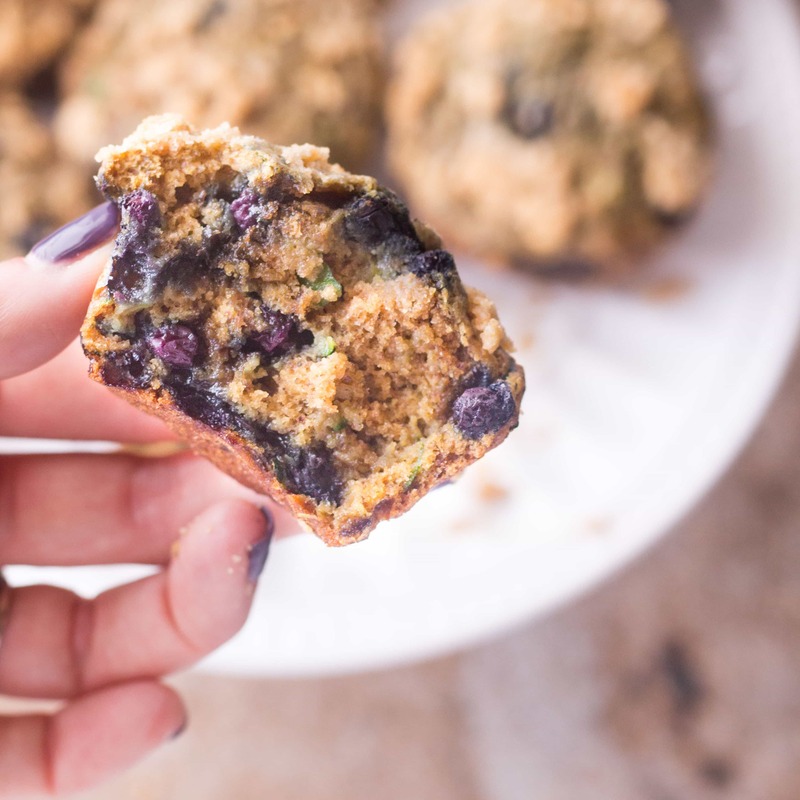 These healthy zucchini muffins with blueberries only need 1/2 of sugar, but the taste is out of this world!! Double chocolate: need I say more? 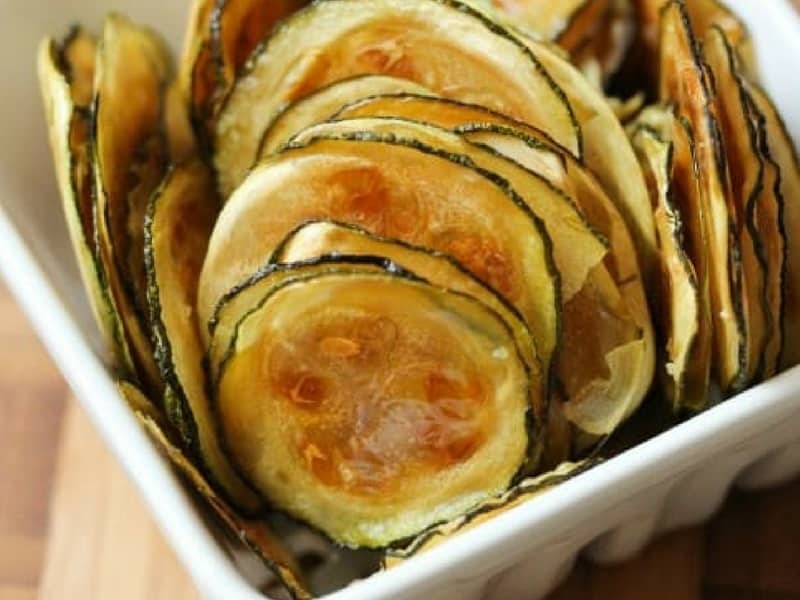 Here’s another zucchini breakfast recipe that won’t disappoint. 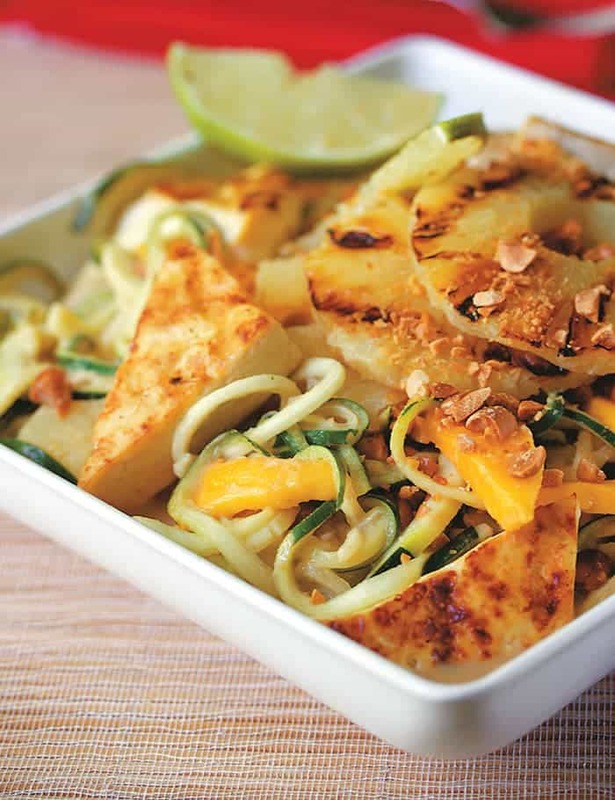 These stir fried zucchini noodles are perfect as a side dish, but can also be your main dish. I make a version of these and use my trusty spiralizer to make my “zoodles”. 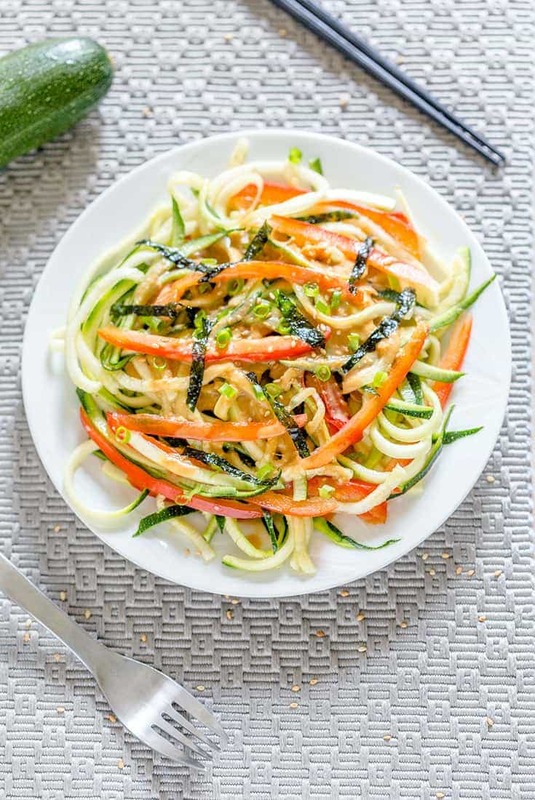 This salad made with raw zucchini “noodles” resembles pad Thai. It looks soo good! 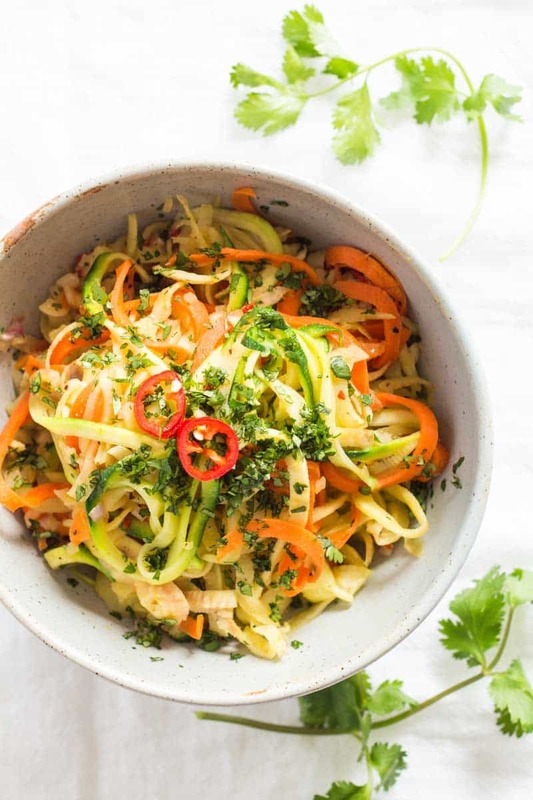 This zucchini noodle salad looks so good, you’ll start eating with your eyes first! This recipe goes really well with my oven roasted red peppers. YUM! 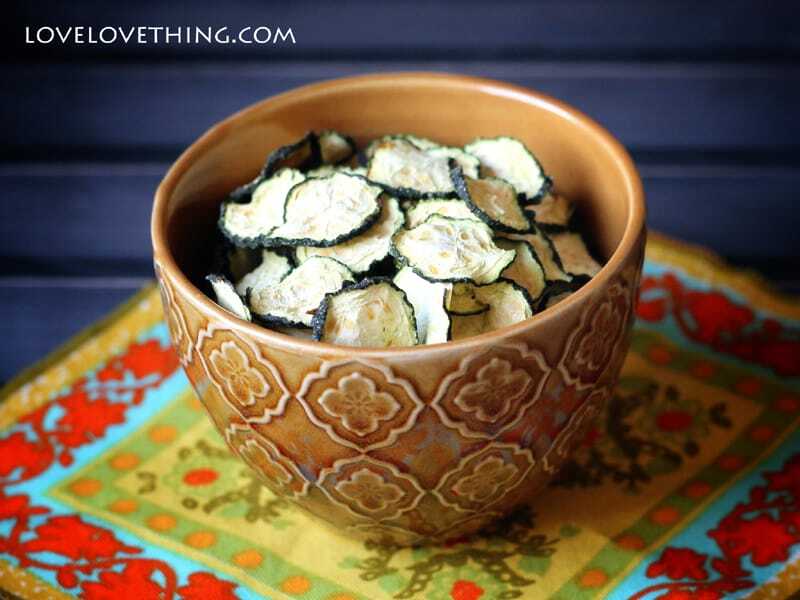 The perfect snack, these zucchini chips seasoned with garlic and herbs will let you enjoy your snack witho0ut guilt. 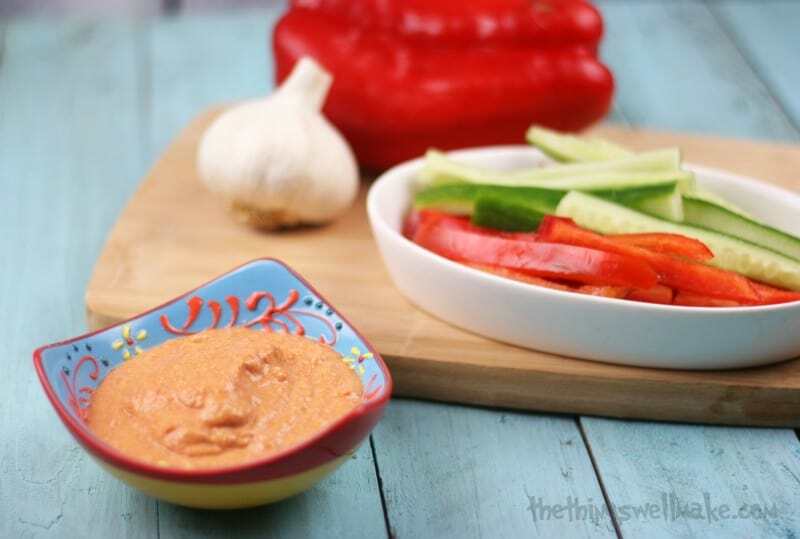 This raw zucchini and red pepper hummus is light and easy on the calories: perfect for a summer snack. 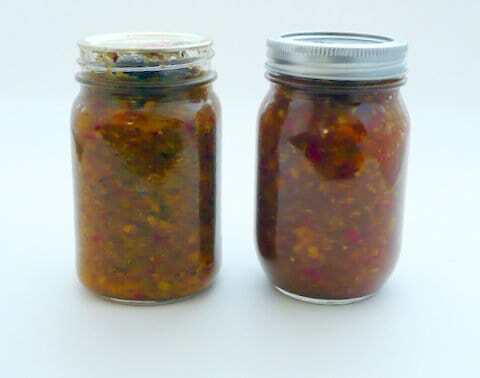 This easy to make zucchini relish is the perfect addition to your summer grilled burgers. Who can resist chocolate chip cookies? These are a great treat for vegan, gluten free diets, but everyone will love them. 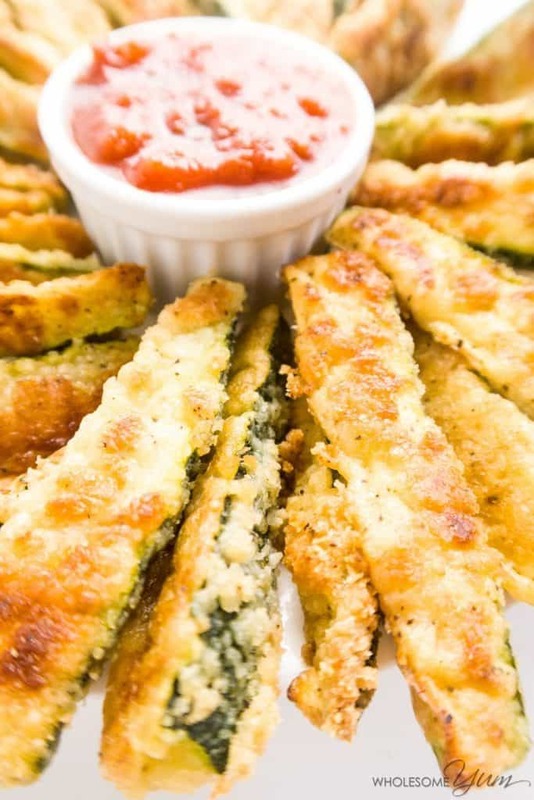 What a great zucchini snack! Almost no calories and so many seasoning options! 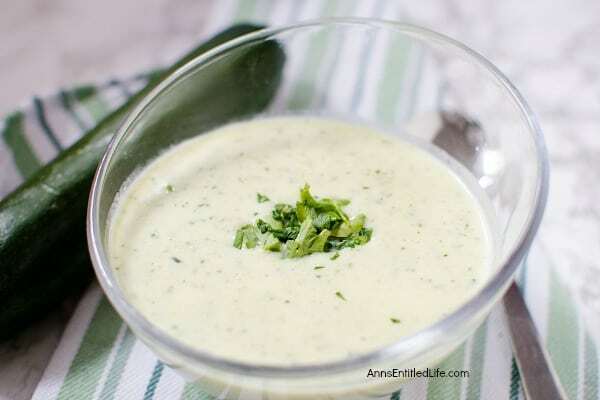 This zucchini creamed soup is easy to make and so refreshing when eating it chilled! 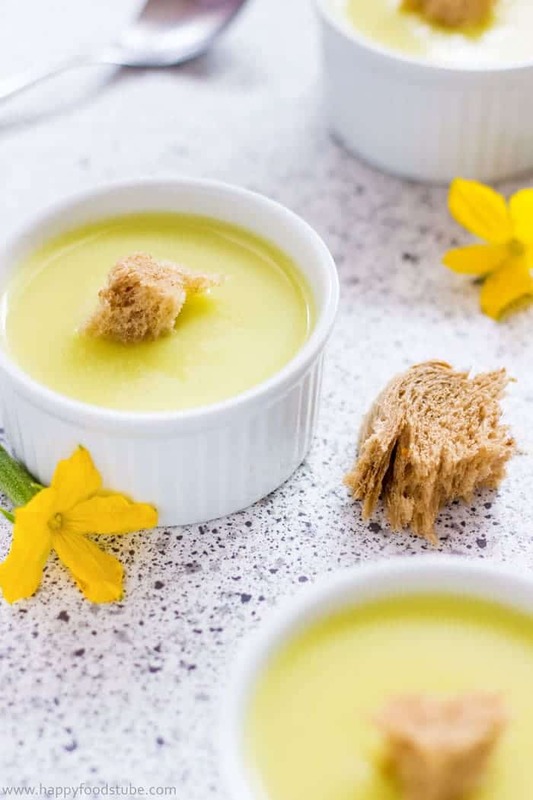 This delicious, easy to make spicy zucchini soup has a bit of spice to it: perfect addition to a summer lunch or when you just want a light dinner. I love fritters of any kind: so easy to eat, and also easy to make. 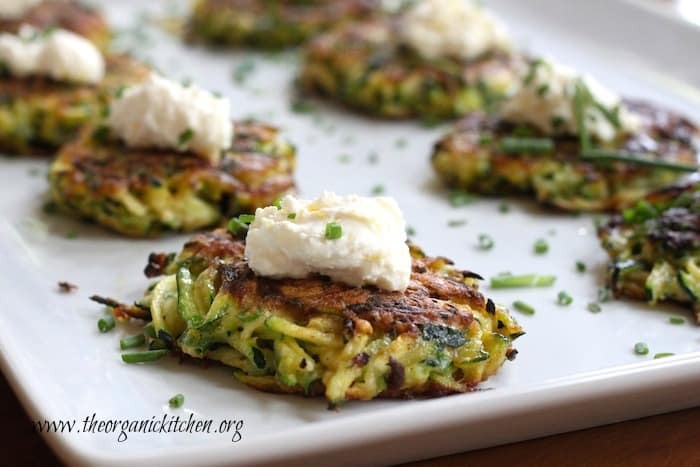 Check out these zucchini fritters with lemon ricotta: YUM! 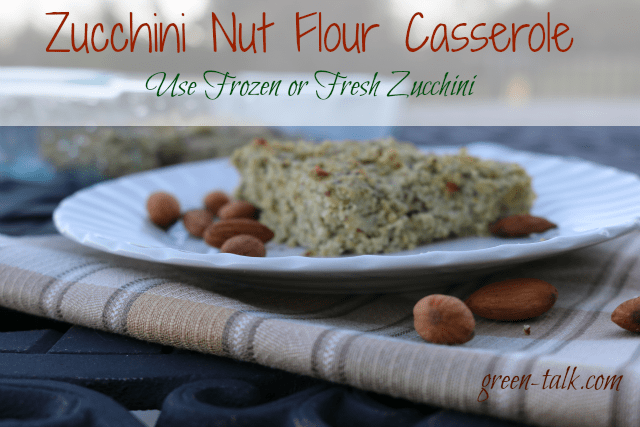 Perfect for a chilly night, long after the zucchini stopped producing, this zucchini casserole is fast and easy and lip-smacking delicious! Fried taste without the guilt! That’s right up my alley, and I’m sure you too woudl enjoy these crispy baked summer squash fries. There’s so much goodness in our gardens! And when harvest is coming up fast, we need to remember to slow down and enjoy the results of our labor. 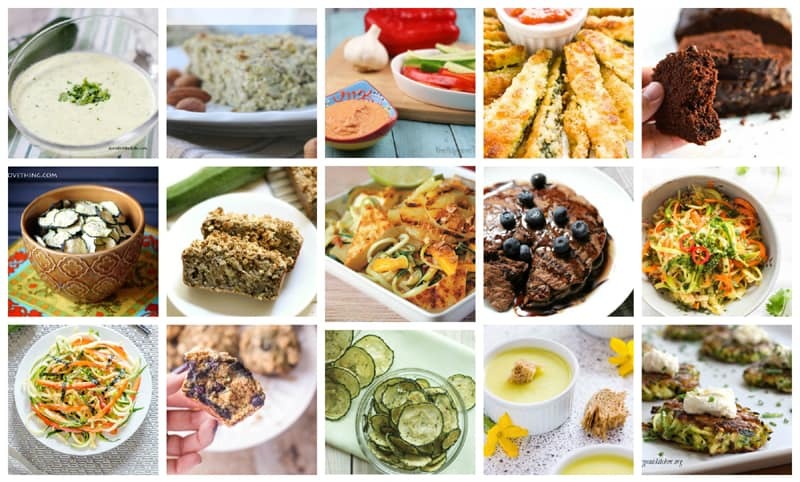 Thanks so much for adding my zucchini recipe to your round-up. 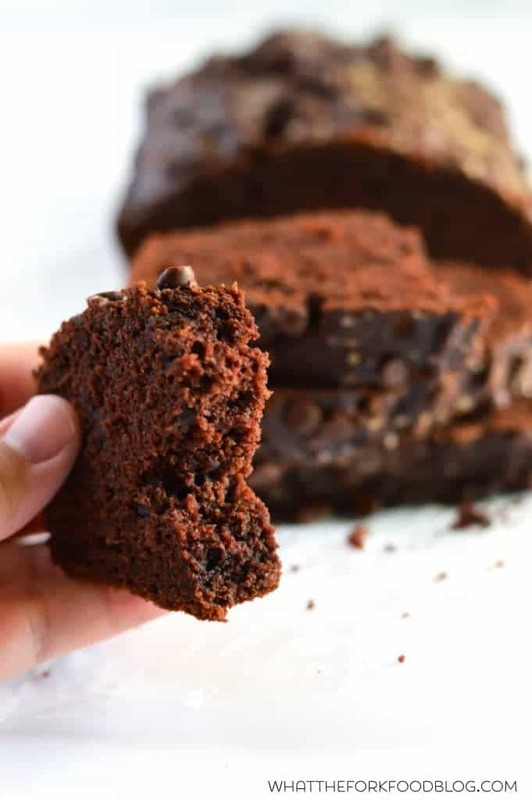 Thanks for including my double chocolate zucchini bread!